The dictionary definition of the word “demystify” means to make something clear and easy to understand. When it comes to family, de“mist”ifying may be the better way to say it. I’m talking about that mist that can come over family members when they get together. It might be the mist through which one sees an adult child or grandchild as though they are still an adolescent. Or maybe it’s how the younger generation sees a grandparent’s limitations, rather than strengths, because of age. What keeps us from saying what’s in our hearts? What happens when you clear the mist and demystify? What do you see? 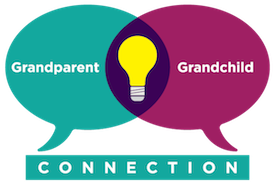 What do you see in your adult children, your grandchildren, if you connect with each other as fascinating strangers? What have you not shared with them? Elders in the family can be regarded as the family historian, the resident holiday chef or storyteller. While those seem like perfectly wonderful things to be, they may also be limiting. They can create a sort of expert-novice hierarchy in the family. Demystifying says everyone can share and have talents and knowledge to bring to the table. What are the secret (or maybe not so secret) talents that each family member can share? In our family, my son Michael, the psychiatrist, is an excellent chef. He happily claimed Thanksgiving after my wife passed. Now each year family gathers from both coasts and in between to travel to Madison for Michael’s great feast. “When I was younger, mom would cook and I would help. Because she was the mom and I was the kid.” But roles in families don’t have to be so rigid. They can ebb and flow and flex, based on what each individual brings to the table. A relatively new grandpa himself (his grandson, Aldo, is almost two), Michael also plays guitar and sings. I encouraged him to use that talent to connect with family. He has since made videos of himself singing that his son Ethan plays for the baby. This way then can still connect beyond annual family gatherings, even though they are miles apart. With the ease of taking videos right from your phone, why not record yourself reading a bedtime story and send it to your younger grandchildren? Even better, tell them a story about your life. Or make up a story. Three more ways to clear the mist aka turn off auto-pilot. Learn, do, say something new. Anyone can change at any time, simply by saying I’m going to do something different today. Try something new. Learn something new. Ask your family members a brand new question. Start a conversation you’ve never had before. Share a secret about you, and learn something new about them, too. Don’t be stopped by “I tried that.” Focus on the here and now. Leave out words like “always” and “never,” as in “you always do this” or you “never do that.” Stick to people’s actions and words in the present, without attributing meaning or emotions from the past. Voice your need and offering of unconditional love. Don’t be afraid to tell your adult children or adult grandchildren that you love them and want to relate to them as adults. And don’t be afraid to admit you were wrong (without adding “I was just trying to do what I thought was best for you.”) Be vulnerable and admit: “I love you and need your love, too. Change is liberating, at any age. Who is that old guy in the rocking chair? Certainly not me! It’s liberating for people to make change. When we demystify our approach to family, we conscientiously look at family members for who they are and where they are now. 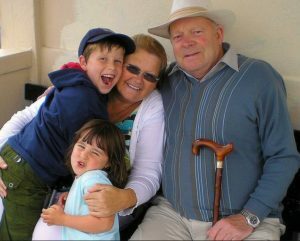 And for us grandparents, I challenge us to shake things up and let people know that we are alive and vibrant. The year-end holiday season may be over, but we don’t need to wait for next year to connect. Thankfully technology allows that all the time. Text each other, send video, schedule a skype or Facetime call. Or send an “old-fashioned” letter. Ask your family HOW they are. Surprise them with WHO you are, and be not mystified, but mesmerized, in return. There’s major transformation that can happen here. And you don’t even need a lot to time to train or prepare. This power is already inside of you.